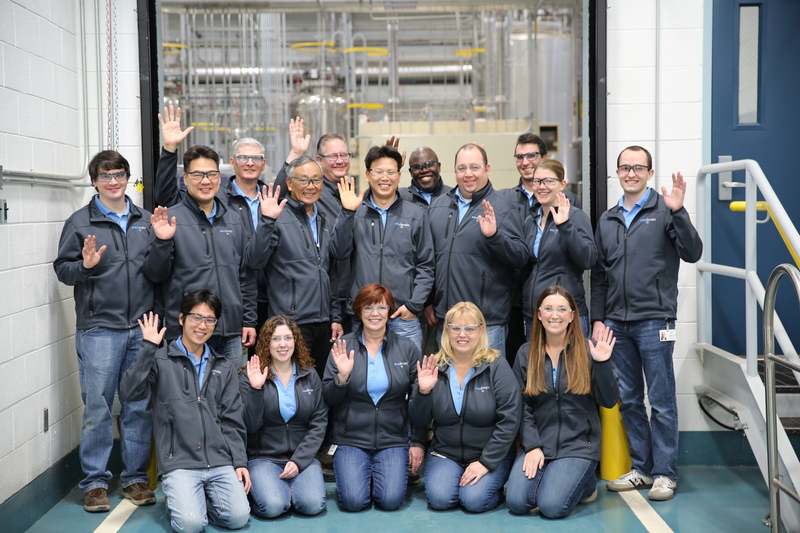 soulbrain MI, incorporated in the state of Michigan in 2010, is a full production facility manufacturing electrolyte for lithium-ion batteries. We are the North American Headquarters for lithium-ion electrolyte production and research and development for soulbrain. For over 30 years, soulbrain, our parent company located in South Korea, has developed, manufactured, and supplied core materials to the high technology industry. Specifically, soulbrain has been producing cutting edge electrolyte for the advanced lithium-ion battery industry for over 15 years. soulbrain introduced their advanced electrolyte technology and strong commitment to research and development to the United States through the subsidiary soulbrain MI. Working closely with advanced lithium-ion battery producers who are a major part of the next generation of transportation and energy storage is soulbrain MI’s focus. It is our goal to help create a more sustainable and environmentally friendly future. Every lithium-ion battery requires electrolyte. Lithium-ion batteries power consumer products, industrial products and advanced hybrid and electric vehicles. soulbrain MI PuriEL electrolyte can be optimized to improve energy density, cell performance and safety in areas such as internal pressure, overcharge, and life cycle. The emerging and demanding advanced lithium-ion battery sector will require continuous improvement. We work with our customers and partners to develop a product that gives them a competitive advantage and enables them to succeed in this rapidly growing global market. soulbrain MI will be the leading supplier of lithium-ion electrolyte to the advanced lithium-ion battery market. soulbrain MI develops and delivers the highest quality and best value lithium-ion electrolyte to the advance battery market segment which will help accelerate electrification of vehicles and the grid. We are committed to a safe and healthful work environment. We exceed customer expectations and deliver top quality products on time. We expect continuous learning, development and reduction of waste. We are reliable and operate with speed and flexibility. We value our partners and honor our promises. We have a spirited team, enjoy winning, and making our best effort. We thrive in a joyful environment and are committed to being good citizens. 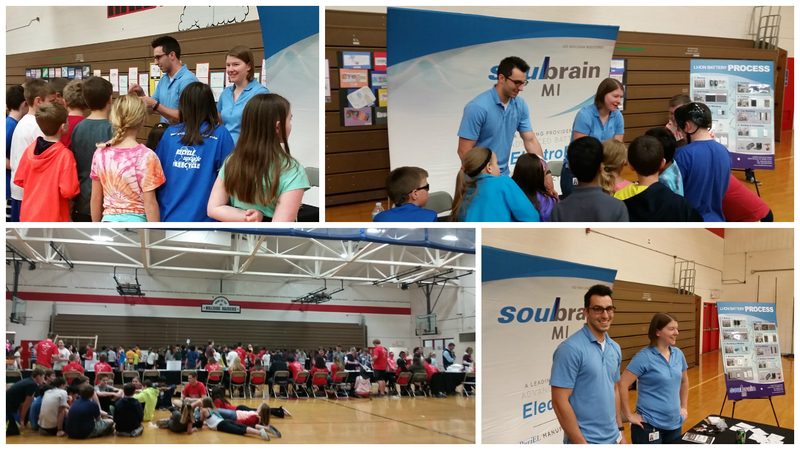 On April 20th 2016, soulbrain MI participated in a one-day Science, Technology, Engineering, Arts, and Mathematics (STEAM) Fair for Northville Public Schools. This was held at Hillside Middle School in Northville, Michigan. It was an all-day affair that included other companies from the area. In the morning, groups of 10-15 7th graders rotated around the different science experiments. In the afternoon, 4th graders rotated through the same stations in the gym with parents and Northville High School students. The experiments were run by high school students and ranged from bike-powered blender milkshakes to a hoover board. There were several examples of how to up-cycle and reuse products for different uses. One group made wallets out of empty Capri-Sun pouches, while another made bags from empty dog food bags. At the soulbrain MI booth, company volunteers explained the process of making electrolyte, and involved the students in a hands-on experiment using table salt and water to make a conductive solution. The experiment mimicked the process of making lithium-ion electrolyte by equating the water to solvents, and table salt to Li-salt. Using the mixture as an example, volunteers explained how the homemade conductivity meter could show the solution was conductive by completely the circuit. The experiment taught the students about conductivity of electrolytes and other objects. Overall, the event was a great success, and many students enjoyed participating in the hands-on experiments available at the event. On May 12th 2015, a class of 4th graders from St. Edith Catholic School visited soulbrain MI for a school field trip. The entire team at soulbrain MI hosted the class and participated in the tour. The students enjoyed lunch and a company overview before going on a hands-on tour of the facility. 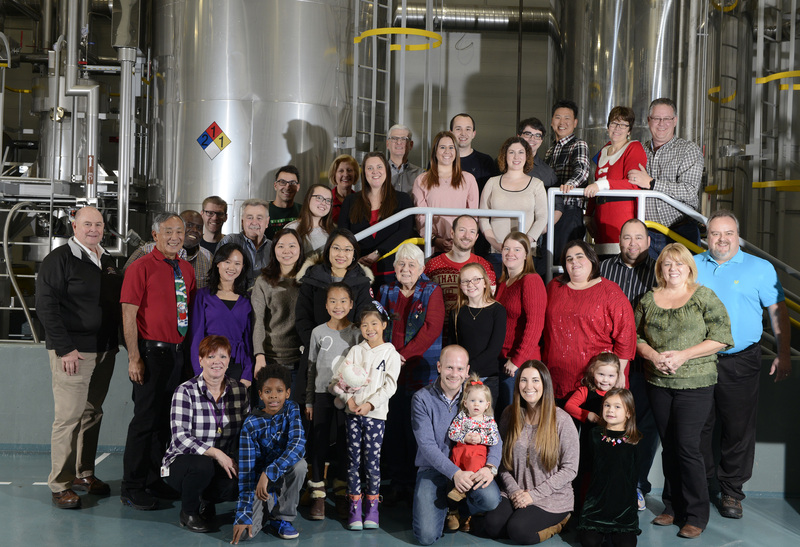 On the tour, they saw how the electrolyte was manufactured, packaged, and labeled. The students also “made a sample” of electrolyte in the glovebox. After the tour, the students returned to the office to learn about non-Newtonian fluids. These fluids act as both a solid and a liquid depending on the force applied. Using cornstarch, water, and food coloring, the group created a non-Newtonian mixture (oobleck). After creating a large batch, the volunteers and guests divided into groups and each student received a portion to take home. Each student was able to pick their own food coloring and learn how difficult it is to mix an oobleck. Additionally, students were given a t-shirt to remember the trip. It was a fun experience for the class and the soulbrain MI team! Ready to work with soulbrain MI? Then request a quote today!